This Breadboard Power Supply is designed to modularly fit the + and - bus strips on a breadboard – Offers simultaneous 3.3V and 5V on two separate rails. For typical breadboard Prototyping projects, it’s not often required to have a specially designed power supply unit, and simple battery connectors or other kinds of Power Supplies usually suffice. 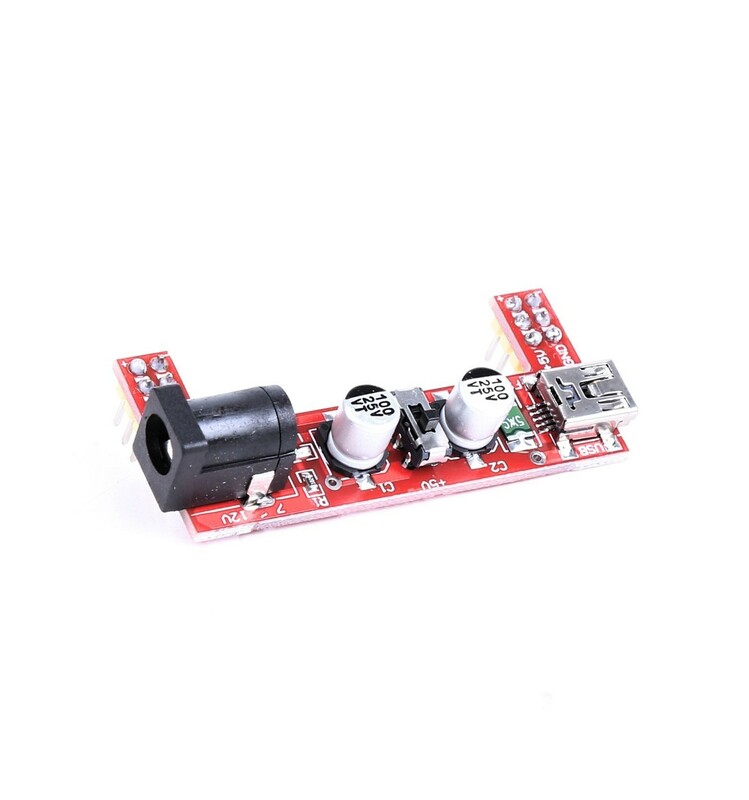 However, some projects do call for greater or more complex power needs, which is why the Breadboard Power Supply has been built to cater to almost any breadboard project’s power needs. 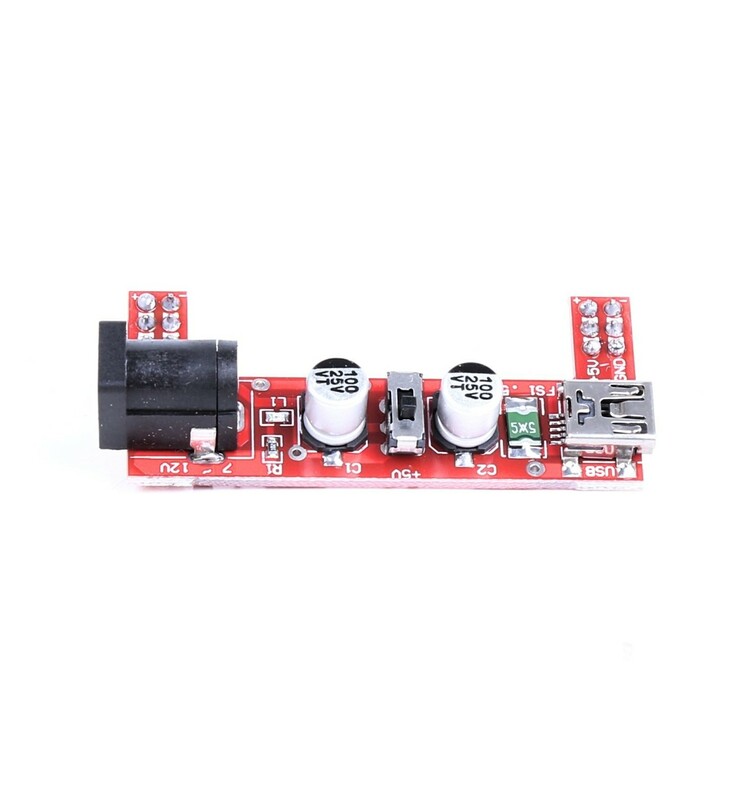 Whereas most power supplies simply provide a single consistent voltage, this power supply can output both 3.3V and 5V simultaneously on two different rails. 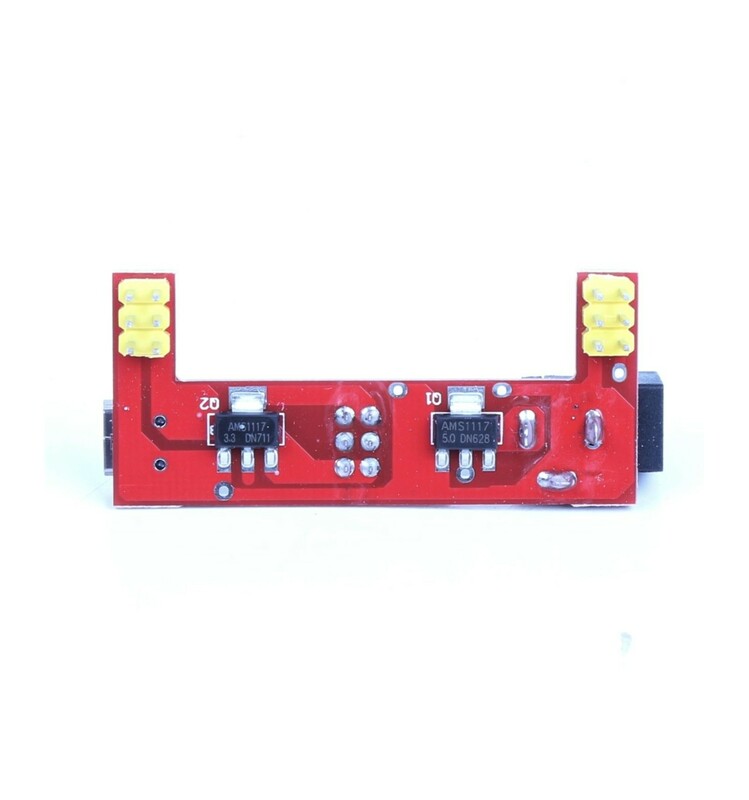 This enables Makers to have a wider range of parts and Electronics Components in their system without having to rely on two separate power sources. 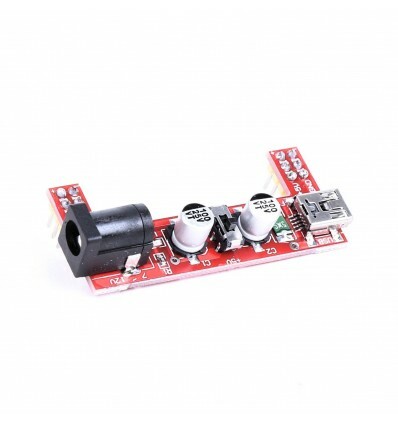 With the Breadboard Power Supply, you can simply connect it to an external power supply with a single cable and power your entire project, as well as external devices via output header pins or an on-board USB port. These features, all packed onto a tiny board that perfectly fits the + and - bus strips on standard breadboards, make it a worthwhile investment for inventors, Makers and Electronics enthusiasts who love to prototype. Prototyping is truly where this Breadboard Power Supply shines, as it perfectly fits most standard breadboards with bus + and – strips. Additionally, the variable power supplies of 3.3V and 5V are typically ideal for Arduino and Shield projects, or for PCB projects using IC chips and other small components. So consider acquiring one of these fantastic breadboard power supplies for your prototyping adventures, to help get rid of the plethora of unnecessary extra cables and adaptors and provide your projects with a reliable and multi-functional power supply unit.